Vessel Engine Neutral Safety Switch | Christian & Co. The basic idea of a neutral safety switch is to prevent starting a boat’s engine when its transmission is “in gear”. 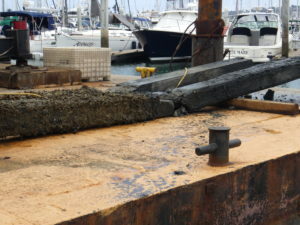 This prevents the boat from moving suddenly and unexpectedly when an engine is started and is a good safety feature. An unexpected sudden movement of a boat can be catastrophic. 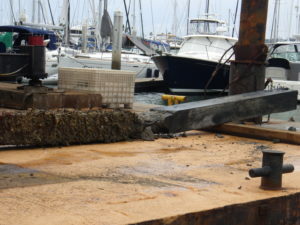 Recently a 90’ motor vessel’s engine started in gear and damaged the dock to which it was secured. Fortunately there were no injuries. There were several contributing causes, including a new operator unfamiliar with the systems and either no neutral safety switch or one that didn’t work. I polled a few mechanics and inquired if they test the neutral safety switch function during mechanical surveys. Most do not. The mechanics all mentioned that many boats don’t have these devices. One mechanic/surveyor said that most sailboats don’t have them. A Detroit Diesel specialist said that Jimmy’s usually don’t have them, but I was on a 118’ Hatteras at the moment that did have them on all three 12V92’s. Most small boats with outboards, outdrives and gasoline inboards have a neutral safety switch in the engine control handle. Some transmissions have the switch mounted on the shift lever. Hydraulic and pneumatic controls (like the one in the 90’ MY) can have them, but many do not. Most new electronically controlled engines do have them as part of the control system. Then there is the layman’s method, put the transmission control in gear and try to start the engine. If you are ready for it, you should be able to control throttle and dock lines so that if it does start, you don’t hurt anything. You can also just bump the starter, versus starting the engine. Either method will give you crucial information as to the function of your engine starting system and reduce the potential for surprises, boat or dock damage or worse.